Miller Music Corp. vs Charles Daniels, Inc. The Supreme Court decision summarized the problem in this way: “This is a controversy between a publisher, Mills Music, Inc. (Mills), and the heirs of an author, Ted Snyder (Snyder), over the division of royalty income that the sound recordings of the copyrighted song ‘Who’s Sorry Now’ have generated. The controversy is a direct outgrowth of the general revision of copyright law that Congress enacted in 1976. The 1976 Act gave Snyder’s heirs a statutory right to reacquire the copyright that Snyder had previously granted to Mills; however, it also provided that a ‘derivative work prepared under authority of the grant before its termination may continue to be utilized under the terms of the grant after its termination.’ The sound recordings of the song, which have generated the royalty income in dispute, are derivative works of that kind. Thus, the dispute raises the question whether an author’s termination of a publisher’s interest in a copyright also terminates the publisher’s contractual right to share in the royalties on such derivative works. “The key that will unlock this statutory puzzle is an understanding of the phrase ‘under the terms of the grant’ as it is used in 304(c)(6)(A) — the so-called ‘derivative works exception’ to the ‘termination of transfer and licenses’ provisions found in 304(c)”. C.A.N.Y. (5-8-1951) ¤ 189 F.2d 469, certiorari denied 72 S.Ct. 77, 342 U.S. 849, 96 L.Ed. After 1945, both plaintiff and defendant were “free to use the play” owing to expiration. 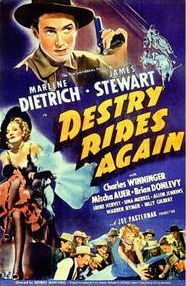 The widow of the author the Western novel Destry Rides Again (1930) assigned her 50% right to a bank, which in 1952 assigned its right to Universal Studios for $4500. 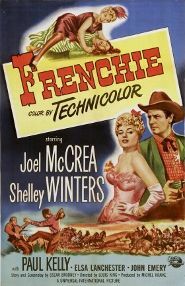 Universal had made two movie versions under that title, including a famous 1939 version as well as a less-remembered 1932, in addition to 1950 and 1954 versions under other titles (Frenchie and Destry, respectively), so Universal had a stake in securing the rights to the renewal term of the underlying work. The three children of the author held the other 50% of the rights, and they seemingly also transferred their rights. 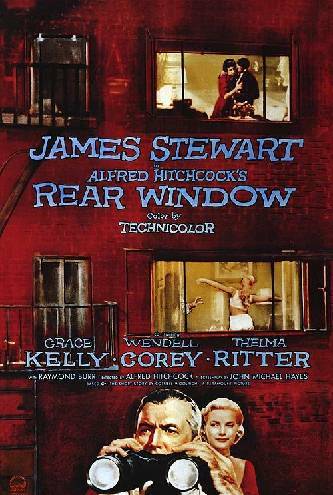 Universal renewed the story in 1956. The widow then died and in May 1960 the children asserted that the bank trust had only obtained the widow’s rights, not the 50% they owned. The Court ruled that when the sale of the movie rights for the first term had occurred in 1931 it had been for $1650, the equivalent of which after devaluation was about $4500 decades later, so that had been the fair price for the rights for the second term. 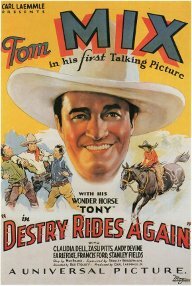 illustrations: posters for (top to bottom, then left to right) the 1932, 1939, 1950 and 1954 film versions of Destry Rides Again. Of relevance to the subject of renewal-term rights is the matter in the following quote. (It begins in the next paragraph). The legal principles discussed were not disputed by any of the parties when the actions were taken from 1961 to 1963, nor was there a dispute over these particular principles when litigation over the sequel rights occurred two decades later. 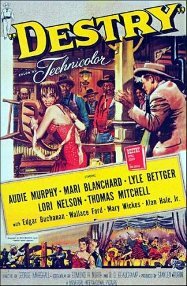 The 1936 agreement mentioned is the one in which Margaret Mitchell sold the movie rights to her one novel, Gone With the Wind, to Selznick International Pictures, Inc. (SIP). “In the 1936 agreement, Ms. Mitchell had agreed to renew the copyright to Gone With the Wind prior to expiration of the original copyright in 1963 and that SIP would have rights in the novel during the renewal copyright period. However, under settled law, her estate was relieved of that contractual obligation because Ms. Mitchell died before the initial term of copyright expired. To retain motion picture rights in Gone With the Wind after the original copyright expired in 1963, MGM, as successor-in-interest to SIP, had to obtain a grant of renewal rights from Stephen Mitchell [the author’s brother], in whom such rights were vested in the early 1960s. MGM was, obviously, anxious to obtain this renewal, since Gone With the Wind was one of its most valuable properties, if not its most valuable property. P.C. Films contended that after the first term of copyright ended (in 1989), MGM’s exclusive right to distribute the film should have ended and P.C. Films should have the right to negotiate distribution arrangements anew. The Court found that, “The Basic Agreement does not expressly refer to rights in the renewal period. However, the Basic Agreement granted MGM the ‘perpetual and exclusive right to distribute the film.” The Court supplied a dictionary definition of “perpetual” which supported the view that this meant “forever”. Further, “the testimony of the sole surviving participant in the negotiations, MGM’s Vice President and General Counsel,” was that “MGM would not have financed the picture for less than a perpetual term”. The critical point: “Under copyright law, where a contract is silent as to the duration of the grant of copyright rights, the contract is read to convey rights for initial copyright period only.” Here, “the Basic Agreement can be lawfully interpreted to continue through the renewal period”. “[N]otwithstanding a termination, a derivative work prepared earlier may ‘continue to be utilized’ under the conditions of the terminated grant; the clause adds, however, that this privilege is not broad enough to permit the preparation of other derivative works. In other words, a film made from a play could continue to be licensed for performance after the motion picture contract had been terminated but any remake rights covered by the contract would be cut off. For this purpose, a motion picture would be considered as a ‘derivative work’ with respect to every ‘preexisting work’ incorporated in it, whether the preexisting work was created independently or was prepared expressly for the motion picture.” Quotation of H. R. Rep. No. 94-1476, at 127, quoted in full within the judgment of Shoptalk v. Concorde-New Horizons, 168 F.3d 586 (2d Cir. 1999). The Supreme Court grappled with whether the movie owners had indeed secured a contractual obligation from Woodrich that he or his heirs would fulfill the renewal assignment or whether no such obligation was borne by the heir. • “A derivative work prepared under authority of the grant before its termination may continue to be utilized under the terms of the grant after its termination, but this privilege does not extend to the preparation after the termination of other derivative works based upon the copyrighted work covered by the terminated grant.” (quoted from 304(c)(6)(A) of the 1976 Act) (emphasis added by Court). 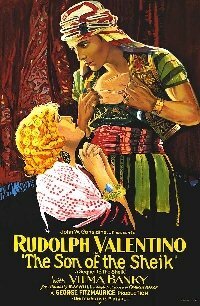 Raymond Rohauer and Cecil Hull vs Killiam Shows and Educational Broadcasting Corp.
Edith Maude Hull wrote the novel The Sons of the Sheik, the basis of a film starring the highly-popular Rudolph Valentino. 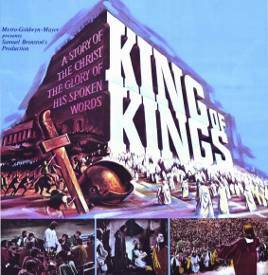 (The film title uses the singular Son in place of the plural Sons). Ownership of the film had been bought by Paul Killiam of Killiam Shows. The son of the author, Cecil Hull (confined to a nursing home since 1969), granted his rights to Raymond Rohauer, who said that no rights were provided to Killiam for a television showing of the film on July 13, 1971. The picture had been shown often on TV since 1960. Rohauer had been responsible for numerous showings in theaters from 1952 to 1965, having bought a print from Art Cinema Association, which didn’t sell its interests to Killiam until 1961.
detail: the credit of the story-source author pinpoints the contributor whose separate underlying copyright led to a verdict against the rights-holder of the movie as a whole. The District Court decision goes into detail about how the Berne Convention (which the United States wouldn’t join until long after this case) and the renewal process in Great Britain make copyright status different outside the U.S., but the verdict was that the showings were violations. On appeal, the Court considered language in the agreements made before the film was produced. The assignment explicitly covered the renewal term. “Where author of copyrighted story assigned purchaser motion picture rights and consented to purchaser’s securing copyright on motion picture version, and terms of assignment demonstrated intent that rights of purchaser would extend through renewal of copyright on story, and where assignee of purchaser and its successors made film and obtained derivative and renewal copyright thereon, it did not infringe renewal copyright on story for successor of assignee of purchaser to authorize performance of film after author had died and copyright on story had been renewed by author’s statutory successor, who had made new assignment of motion picture and television rights.” Thus, the earlier verdict was reversed. The Judge in his decision indicated several factors which prejudiced the case against Rohauer. He mentions Rohauer’s “refusal to submit to discovery” in an “Iowa case”. (Although no names are mentioned, this almost certainly concerned an action by Rohauer against Eastin-Phelan Corp. [a.k.a. Blackhawk Films], which contracted with Killiam to offer film prints sold to libraries and collectors.) Further, Rohauer had exhibited the film prior to 1965 without any license from Hull, so thus had engaged in the same trampling of the film’s underlying rights which he then used against Killiam. EDITOR’S NOTE: For the reasons mentioned in this paragraph, readers might want to place more weight on the verdicts in similar cases, particularly Abend. Harry Von Tilzer composed the song “Down on the Farm” (lyrics by Raymond A. Browne, at least in part), which was copyrighted July 26, 1902, by Harry Von Tilzer Music Publishing Co. Tilzer renewed on July 16, 1930. Lyricist Browne had been on fixed salary to Tilzer, and had received no other compensation through his death on May 9, 1923. Had Browne been entitled to half the copyright, his death would have given his widow rights in the second term. However, because Browne worked on a work-for-hire basis, Vogel’s claim of having rights by means of an assignment from Browne’s widow, was not grounded. Classical music composer Bela Bartok (died 1945) executed a contract for a composition (Concerto for Orchestra) and its copyright, and later corrected the proofs of the sheet music, but he died before tangible copies were made available for sale. The composition was performed during Bartok’s lifetime but not “printed (and therefore not copyrighted) until after his death.” His son sued the publisher after the work came up for renewal, claiming that this was not a posthumous work and thus he had the right to renew. The lower court sided with the publisher’s view that the work was posthumous, but the Appeals judge disagreed, reversing lower opinion. The Appeals Court said that the intent of Congress gets “controlling weight”. The Court determined that the Concerto was not to be viewed as a posthumous work because the contract was effected during author’s lifetime. Posthumous works are those where the widow and children are the ones who make the arrangements for publication. They are thus the “original proprietors” and “they would have no need of” the protections afforded by the rules for non-posthumous publication. “In this case, however, where the copyright contract was executed before the author’s death, the family has no means of protection other than the statutory renewal right…” Consequently, the publisher was in the same position with the heir(s) as had the author died after publication and after copyright registration but before eligibility for renewal. “In 1956, John Marascalco and Robert A. Blackwell co-wrote the song ‘Good Golly Miss Molly’… . On July 23, 1956, in exchange for royalties, Marascalco and Blackwell assigned their copyright interests in the song, including ‘any and all renewals of copyright’ to Venice [Music]. Venice registered the song with the Copyright Office on January 22, 1957, naming Venice as the copyright owner and Marascalco and Blackwell as the authors. On October 15, 1959, Blackwell assigned his royalties back to Venice. In 1973, Venice assigned its interest in the song to Argosy Ventures, which, in turn, assigned the interest to Fantasy, Inc.
“On January 18, 1985, Marascalco renewed the song’s copyright in his name and Blackwell’s name. Two months later, Blackwell died. Blackwell’s death occurred during the twenty-eighth year of the song’s copyright. Blackwell’s daughters, Kelly Blackwell and Sandra Blackwell McClendon, inherited their father’s estate, including any interest he had in the song’s copyright. On March 15, 1986, Blackwell’s daughters assigned their interest in the song’s copyright to Marascalco in exchange for royalties. “The key question presented by this case is at what point does an author’s copyright renewal interest vest so as to invoke the rights of his successors… . “Marascalco and Blackwell’s original copyright term [would have] expired January 22, 1985, with the renewal period—the one year period prior to the copyright’s expiration during which time the copyright can be renewed—extending from January 22, 1984 to January 22, 1985. However, after the enactment of section 305 [effective 1978, and applicable to earlier works], the renewal period ran from December 31, 1984 through December 31, 1985. Thus, Blackwell died during the renewal period, but after Marascalco had timely effected a renewal registration in both authors’ names. “Thus, the question becomes when does a copyright’s renewal interest vest… . Marascalco argues that the renewal interest does not vest until the beginning of the renewal term—in this case, January 1, 1986. Accordingly, since Blackwell was not alive at the commencement of the renewal term, the renewal rights passed to Blackwell’s daughters, under section 304(a), and then to Marascalco via assignment. Conversely, Fantasy argues that the renewal rights vested on the date Marascalco registered for renewal, January 18, 1985. Accordingly, since Blackwell was alive on that date, the renewal interest was vested in Fantasy… . “Since the congressional intent of the renewal term was to protect the rights of authors and their families, the Supreme Court in Miller Music Corp concluded that the author’s estate retains the renewal interest if an author assigns his interest but dies before the commencement of the copyright’s renewal period. However, the Miller Court did not reach the issue of when the renewal rights vested because the author died prior to the renewal period… .